A couple of years ago it was written here that middleweight was the most talent-laden division in Minnesota boxing. That statement could easily have been expanded to include the entire Upper Midwest – at the time the premier division boasted the premier names of Bonsante, Kolle, Kost, and Vanda. Since then, however, the landscape has changed significantly. Bonsante is retired, Kost might as well be for all the action he’s been getting, Kolle wants to move down to junior middleweight, and Vanda has been testing the waters of the super middleweight division. Furthermore, no fighter is obligated to stay in any particular division, so any analysis has to allow for the certainty that weights will change over time. With that said, what is the best division in Minnesota boxing now? Let’s survey our most prestigious divisions. Summary: Admittedly I’m being a little bit generous to the division by including a few men from lower divisions, but it’s a fact that in those lower divisions the fighters have to be willing to travel. 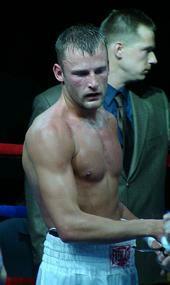 Jason Litzau is the only sure-fire world class fighter in Minnesota. How do we know? A sure sign that a fighter has reached that echelon is that lesser men are naming Litzau as a desired opponent. Wilton Hilario has been on national TV before and will be again in less than two weeks. It was less than two years ago that Tony Grygelko was calling Boxley “the second best fighter in Minnesota,” but the bright and affable Boxley seems to have no more idea how to manage his career than do the buttons on his shirt. Proof of this fact: Boxley has now lost seven fights in a row against fighters with a combined record of 60-2, after starting his career with fight straight wins. Hilario, Boxley, Muwendo, and Eyer are all very credible second-tier guys who fans would love to see matched against each other. Summary: Kolle is the current Minnesota middleweight title holder, and he’s on the cusp of cracking the top 15 in the world in that division. Though Kolle has continued to campaign as a middleweight, for the last couple of years he’s been intermittently been protesting his desire to move down a class to take greater advantage of his length and power. Expect to see Kolle finally make that move in the coming months, and he will stand head and shoulders above everyone on this list when he finally gets to 154. 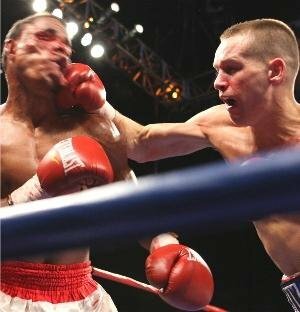 Kenny Kost gets kudos for his experience and a win total in the teens, and for beating Matt Vanda back in 2007, while slippery Dave Peterson is credited with an unbeaten record and a hard-earned win against Corey Rodriguez in 2009. This division is thick with prospects, none of which come with greater hype and potential than Javontae Starks, who has devastating power, and whose amateur accomplishments give him a national reputation. Summary: Kenny Kost isn’t officially retired, as far as anyone knows, but he hasn’t fought for two years and he isn’t getting any younger. Caleb Truax is seen as an up-and-comer in this division, but the truth is that usually he weights in a pound or two over the limit. With three wins against Matt Vanda and the now-retired Tony Bonsante in the last few years and no immediate challengers, Andy Kolle rules the roost here until he leaves. Minnesota fans have asked for a Kolle-Truax matchup, but the promoters haven’t seen fit to make that fight. One possibility: both fighters’ management are smart enough not to want to risk cashing in their fighter for the relative pittance that an all-Minnesota fight is likely to generate. Summary: Despite the fact that he usually weights over 160#, Truax has been billed and marketed as a middleweight. Matt Vanda is small for a super middleweight, but this seems to be where he wants to live, while Phil Williams is a former light heavyweight who moved down. Taggart and Kliewer are young guys who will gain weight with age. My point? For most of these guys, the super middleweight division seems to be a way station on the road to somewhere else. Nevertheless they are here now, and some interesting matches can be (in fact have been) made. The Fistic Mystic says: The two best divisions in Minnesota right now are junior feather and junior middle. This quick survey of active fighters and their records suggests that while middleweight still holds the potential for some very interesting matches, it’s junior featherweight and junior middleweight that have the most potential for fireworks. This entry was posted in boxing, sports and tagged Allen Litzau, Andy Kolle, Antwan Robertson, Bobby Kliewer, boxing, Brad Patraw, Caleb Truax, Cerresso Fort, Corey Rodriguez, Danny Figueroa, Darby Smart, Dave Peterson, Gary Eyer, Hassan Wasswa, Ismail Muwendo, Jason Litzau, Javontae Starks, Jon Schmidt, junior featherweights, junior middleweights, Kenny Kost, Matt Vanda, middleweights, Minnesota boxing, Phil Williams, super middleweights, Tim Taggart, Tyler Hultin, Willshaun Boxley, Wilton Hilario. Bookmark the permalink. Good call, Petey. Alfaro has been added.